A short course on the use and features of TigerConnect. Read through the material below and take the short test at the bottom of the page. In less than an hour, you can be a certified TigerConnect Super User. Welcome to the TigerConnect Super User Certification, in this course you will learn about the different uses of TigerConnect and all of the features. This course will highlight important basic functions as well as premium features, such as Roles and Priority Messaging. TigerConnect has many features and countless benefits. Here is a list highlighting a few. 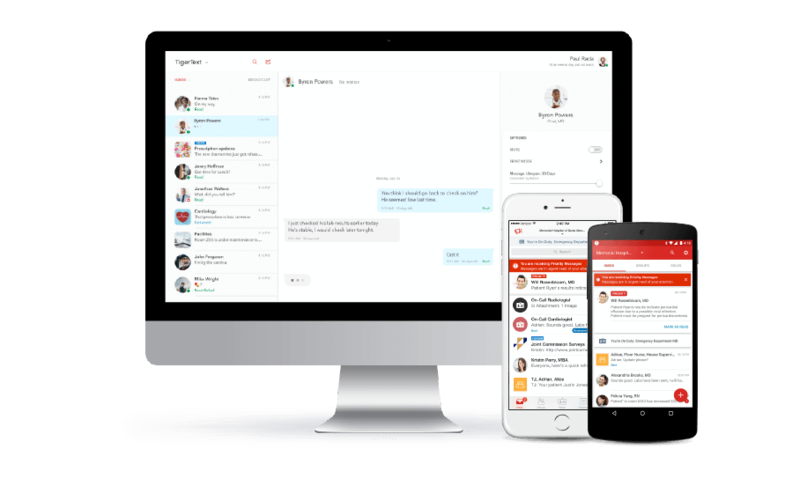 With Delivery Confirmation, users will know instantly if messages have been delivered and read, helping teams work together more efficiently. Message Forwarding lets users share messages with colleagues, making it easy to bring experts and others into a conversation. Connectivity issues inside buildings can hamper communication, but with TigerConnect’s Delivery Escalation, messages not delivered within five minutes automatically notify the recipient via SMS notification without message body text. Similar to an out of office email reply, ‘Do Not Disturb’ lets colleagues know you are not available and gives you the opportunity to create a custom auto-reply message. TigerConnect’s desktop version can send files directly from the file storage system. TigerConnect’s mobile apps integrate with cloud storage apps such as iCloud, Box, Dropbox, Google Drive and others as long as the drive’s app is installed on the mobile device. Less phone tag and reduction in antiquated communication channels, such as faxes and pagers. TigerConnect is available to download on the iOS AppStore and the Google Play store for Android. We do not produce native apps for Blackberry or Windows mobile devices. Our Desktop Application can be installed on Windows and Macintosh desktop computers. Our web console environment can be accessed on any computer with a web browser. The preferred mode of use for TigerConnect on desktop computers is the desktop app. Now that we have the application downloaded let’s get logged in. We can log into TigerConnect with an e-mail, or a company provided username. When users log into TigerConnect for the first time they will have to create a password, that will be the password they use to log into any other instance of TigerConnect. **Android only** Tap ‘not now’ when asked to check for email information. Type an email or username on the login page. Follow the on-screen instructions to open your email account on the phone, or visit the email on a computer. Find the email from notifications@tigertext.com, asking you to reset your password. Create a password, it must have at least 8 characters, 1 capital letter, 1 special character, and 1 number. Return to the TigerConnect app and type your password. Activate your mobile number by tapping on the activate button then: for iOS tap the green arrow to send the pre-generated text, for android this is done automatically. Allow the app to access the device’s contacts. Optional: select a four-digit pin then re-enter the pin to confirm it. Once you have created your password all consecutive logins will skip steps 4-7. If logging into a device which has already been logged into in the past you will skip steps 10-11. When logging in to a desktop you will only be required to perform steps 3, 8. The user will be asked to create a password in the app. Then be placed into a ‘pending user’ state where they will have to verify their email address and will see a full organization name at the top of the app (i.e. HealthCare Inc.) but can only text the Admin broadcast list (this will have a blue icon next to it). An admin of the account will need to approve them from TigerConnect admin console. The user will create or join a freemium organization associated with their email domain, they will have to verify their email address and the org name will typically have the domain name of the email as it’s title (i.e. healthcare.com) This organization is not associated with a paid TigerConnect account. Now that we have downloaded and logged into the TigerConnect App, let’s get down to business and send a message! You can send a message with a fresh start from the compose icon in the top right for iOS and bottom right for Android . You can continue a conversation from the inbox of your TigerConnect account. Tap on the compose icon in the top right. Type in the name of who you are looking to send the message to. Choose them from the list. Type the message in the “Write a message…” box at the bottom of the screen. Finally, tap on the red arrow to send the message. Tap on the plus icon in the bottom right. Tap on New Message from the options. Type in the username or choose them from the list. Tap on the check mark at the top right. Type your message in the “Write a message…” box. There are a few things to note about the message creation flow. The users generated in the scrolling list are not everyone in the directory. We load a portion of the users in the directory but not all, as some of our customers have thousands of users. To make sure our customers find the right person, type the user’s name or title to search for them. Searching in the directory with the create a new message option works just the same as in the Directory or Search fields, you can search for a name, title, and department. 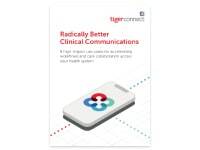 A TigerConnect message can carry an enormous amount of important information, whether it be a message to notify a hospitalist that the patient is having a lab drawn, or to notify an organ transport team that a new transplant is available for the next patient. A TigerConnect message carries very important content to its recipient and sender. 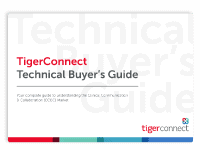 However, there are many other critical details, let’s take a look at the anatomy of all TigerConnect messages. Easily our most important feature in the user interface, the message status tells users what to expect. There are three statuses, Sent, Delivered and Read. Sent. This status tells us that the message has been received by the secure server and is en-route to our recipient’s device. If a message is lingering in the Sent status for an extended amount of time it typically means the recipient is not logged into TigerConnect, it could also mean that they are not covered by a cellular or wifi data connection. Delivered. 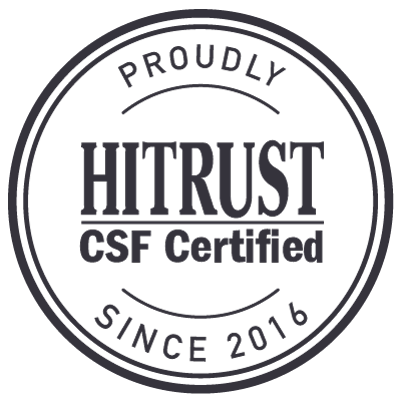 This status tells us that the secure server was able to successfully deliver the message to our desired recipient, we know that the recipient’s device has notified them and that they have our unread message pending in their inbox. Read. This status is the one we are all waiting for, it tells us that the recipient has opened the message and has read its contents. Read. (Group) The group read status shows us a numbered ratio, the number of users who have read by the total number in the group. Users can tap on this status and see a detailed view of who has read the message. A unique feature of TigerConnect is the message lifespan found at the bottom of every message. TigerConnect messages will automatically delete from the app after a designated length of time. Only the administrator of the account can adjust this timeframe. The various values run from 5 minutes to 30 days. Most of our customers use no less than 5 days, as any shorter would make the continuation of care and the patient care cycle difficult to manage. Every message in TigerConnect has a time stamp on the lower left. This time stamp shows you and the recipient what time the message was created, not delivered or read. In group messages, the read details will show you delivered and read times as well as created time. We have learned how to send a message and what type of critical information is in a message. Now, how about we learn all of the actions we can use on a message? Message actions are the different commands we can give to a message after we have sent it, or received it. To use them, tap and hold on any message in your conversation. First, we will go over the message actions we can place on a message we have sent. These are actions that you can place on messages you have sent. Resend: We can resend a message, verbatim, this action does not let us change the body text. A modified version of this action is available if Priority messaging is turned on allowing the sender to resend a standard message as a priority message. Recall: We can recall or take back a message that has been sent. There are obvious applications here, such as erasing a message to the wrong person, however, clinically speaking this feature can definitely save lives. We have all seen auto-correct wreak havoc on our intended words, changing “let’s go eat” to “pets with feet”, this feature ensures that prescription amounts are not accidentally sent with an extra 0 (10mg vs 100mg) or a wrong room number for a consult. Forward: Forwarding a message from one person to another will send the new forwarded message with the original sender’s name in bold. This is to retain accountability as well as offer the recipient an understanding of who they can follow up directly with if questions arise, taking the middle-person out of the equation and improving response time and care cycles. The sender’s name is a link that will show users the sender’s profile. Details: Give the user important information for troubleshooting, such as the unique message token, server date, sender token, recipient token, and status. However, most importantly, message details have a button to contact customer support directly and will autofill all of these details along with device and user details in an email to prosupport@tigertext.com our customer support team. These are actions that can be placed on messages you have received. Delete: This is not message recall, delete only deletes the message from your side of the conversation. Forward: Same action from the outgoing message, however mostly used on incoming messages. Details: Same actions from the outgoing message, however rarely used on messages received. We can send many different types of attachments with TigerConnect from images to recorded audio. All attachments are sent with the same encryption as a standard message and are compliant. TigerConnect has a 10MB message size limit, this will restrict the length of videos and audio recordings. Let’s look at how to send these attachments starting with sending an image that we make with the app. Start at the attachment bar. Tap on the camera icon. Take the image by taping the white button at the bottom of the screen. (optional) Add text to the message box. Tap the red arrow at the right to send. Photo messages function the same as other messages, they can have all message actions performed on them. 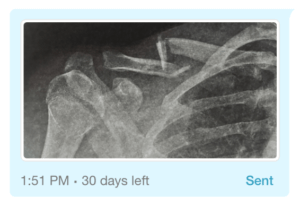 The image is not saved to the user’s device, this makes it possible to send compliant clinical images, such as EKG, x-ray, patient condition, wounds, surgical sites and anything with PHI on it. 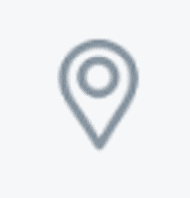 How about sharing my location? We can send our current location with just two taps. Tap on the pin icon in the attachments bar. 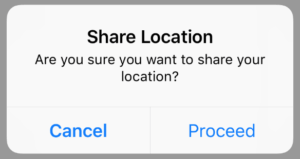 The app will find your location and send the address, this is not a tracking mechanism, it simply shares your current address. 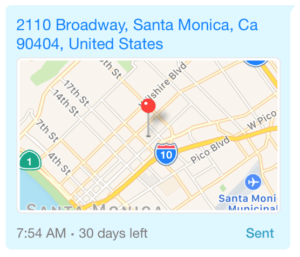 This feature does not share specific GPS coordinates or altitude, meaning if you are in a big hospital and want to send your location, such as wing and floor, this feature will only send your current address. This feature works best for Home Health customers, or other traveling field specialties. Sending documents is easy from your mobile device, we have integrations with all the major cloud drive providers, such as Google Drive, iCloud Drive, Box, and more. You will need to install the cloud drive app on your device and sign in, after that you can choose it from the attachments bar, and send a saved file in TigerConnect. Let’s walk through the process. Tap on the dog-eared page on the left side of the attachment bar. Navigate to the file location. 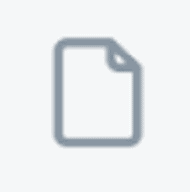 Tap on the desired document. Tap the red arrow to send the attachment. Recording audio can be very helpful for our customers, whether it’s a nurse sending a read back, a radiologist’s scan interpretation, or a patient’s speech pattern during stroke recovery. Recording audio starts with the microphone in the attachments bar. 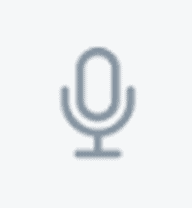 Tap on the microphone on the far right of the attachment bar. Tap on the red microphone to start the recording. Tap on the stop recording icon when finished. (optional) Playback the recorded audio. Tap on the red arrow to send the message. 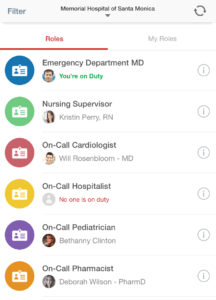 Care Coordination is at the root of TigerConnect’s Mission, our app connects the patient care team with each other. 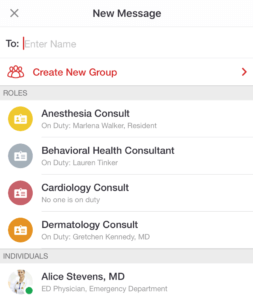 Group message is easily at the top of the list for features with the biggest impact on our mission and the patient care cycle. Groups are private collaborative environments that can be created by any user in the directory for any reason or need. Only the users participating in the group can see the group. Any messages sent or received are only accessible by those in the group. 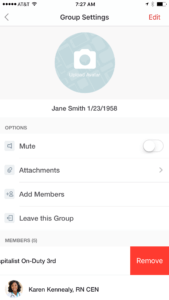 If a user is added to a group after the group has been created, that user will not see any previous messages in the group. There is a 100 user limit on how many users can be added to a group. Group titles are compliant, just as the messages sent within them. Groups have an orange square as an icon by default, this can be customized to any picture, however, groups always have square icons where person to person direct messages have circle icons. Groups will stay in all participant’s inbox, whether the messages have all expired or not. Creating a new message and adding multiple users in the “to:” field. Tapping the plus icon in the group tab. We have talked about group message read status, but let’s revisit that and look at other message details in a group conversation. Messages sent to a group will have a numbered read status, showing how many people in the group have read your message. Messages will have the user’s avatar next to them, as well as their name at the top of the message, for better identification in a busy text exchange. There are also notifications called “bangs” in a group conversation which show us things like who was added to the group and who has removed a user from the group. Everyone in a group can manage and change the members as well as the group details. To view group details tap on the square in the top right corner of the group conversation. Broadcast lists are a notification feature in TigerConnect, an administrator can set a broadcast list with a title and a list of recipients. The users on the list are not visible to end users, but anyone in the directory can send to the list. The sender can only see that they have sent to the list, but any response will come back to the sender as a person to person message. Broadcast lists are great for shift change updates, system downtimes, code notifications, admission or discharge notifications. Tap on the list to send a message to it or search for the name in the compose menu. TigerConnect Forums are a great way to get a group of people involved with a topic such as IT Downtime notices, or procedure changes. 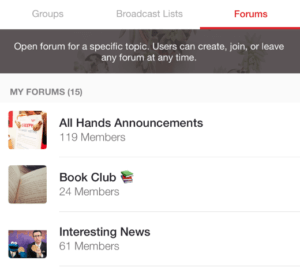 Forums function like an open group. Anyone in the directory can create a forum. Anyone in the directory can join a forum. Anyone in a forum can add another user. 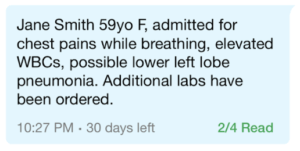 All messages (within the lifespan) are available for users to view even those sent prior to them joining. Forums DO NOT provide a delivery or read confirmation on messages. TigerConnect Settings give users the opportunity to change some behaviors of the app, such as notification sound, and avatar. Settings are located in the bottom right corner of the iOS app and in the top right of the Android app, both are identified with a gear icon. In-App Alert Sound: Turn on audible notifications while the app is open. Logout: logs the user out of TigerConnect, erases all message content, and will not notify users of new messages. Do Not Disturb provides users with an easy way to momentarily silence notifications from TigerConnect, whether it be for a patient interaction, a day off, or a full-length vacation. Do Not Disturb, or DND, silences all notifications to TigerConnect, provides the user an option to set up a custom auto-reply, and even forward messages automatically. The chosen user will receive an automatic message informing them that you have set them as your Auto-Forward. Auto-Reply and Auto-Forward do not function for group messages and broadcast lists. Users on duty in a Role cannot set DND. Priority Messaging is a Premium feature on TigerConnect that helps users emphasize their most urgent messages and encourage quicker response times from their recipients. Priority Messages have a unique tone and bright red color to ensure they stand out. The messages always show up on top of the inbox so it can’t be missed. 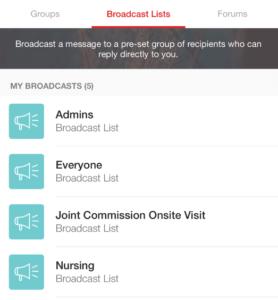 Priority Messages can be sent in any message on TigerConnect; Roles, Groups, Broadcast lists, Person-to-person. If you are the recipient of a Priority Message, the message will have a distinct tone and will appear differently within your inbox with a red border. The message will stick to the top of your inbox until it is read, regardless of whether new standard messages are received after. 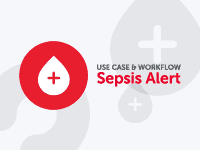 In a large hospital system, having instant access to the right on-call specialist can save valuable time while avoiding rounds of phone tag and errant, unwelcome calls to off-duty staff members. Clinical staff and unit managers often waste valuable time trying to identify and contact on-call specialists and techs, struggling with whiteboards and spreadsheets just to locate the right physician or tech. TigerConnect’s Roles feature lets healthcare staff look up specialists and other colleagues by role or department rather than by name. Roles give nurses the confidence and reassurance that they can get an answer quickly. Roles give providers the peace of mind that they haven’t missed a crucial page about a patient need. Roles enable the whole healthcare setting to effectively support a patient’s journey to recovery and wellness. Sending messages to a Role can be done in two different ways. 1. 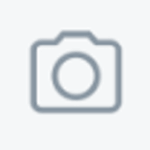 Tap on the composition icon. Roles will show at the top of the suggested users in the composition menu. Roles will always have a colored avatar with a badge icon. Beneath the role name we see who is currently on-duty. 1. Tap on the roles icon in the bottom of the screen (iOS) or the top right (Android). 2. Scroll or search through the Roles directory list. 3. (iOS) tap on the role title, (Android) tap on the role title, then tap ‘message role’ on the role detail page. 5. Tap the red arrow to send the message. We just learned about how to send a message to a role. Such as a Nurse contacting a Physician, or as a Hospitalist contacting a Specialist. Now we are going to look at how we can manage our roles for which we want to go on-duty or save for later. Tap on the ( i ) to the right of the role. Swipe on the area at the bottom of the page to opt in to a role. Return to the role page and swipe to opt-out of a role. Choose a user from the directory to replace the vacated role. When users opt into a role they inherit all of the previous messages that role has participated in. The inbox will have badges on conversations showing which are from the role and which are not. When composing a new message while on-duty for a role, users will have to choose whether to send as the role or as the standard account. To help manage roles that are commonly used the ‘My Roles’ tab gives users a place to save important roles and any role users are on-duty for will show here. Clinical staff and unit managers often waste valuable time trying to identify and contact on-call specialists and techs, struggling with whiteboards and spreadsheets just to locate the right physician or tech. TigerConnect’s Roles feature lets healthcare staff look up specialists and other colleagues by role or department rather than by name. 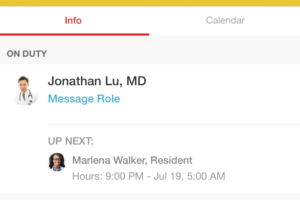 However, when paired with a hospital’s electronic scheduling system, the Roles feature becomes a dynamically populated directory where staff can text role owners to instantly communicate the details of a request or situation. With Role-based Scheduling Automation, shift assignments are automatically updated in the TigerConnect directory so users simply show up and start their shifts with both parties receiving notifications to indicate the shift change. 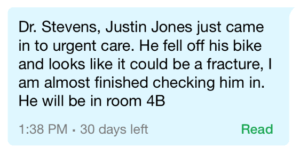 Plus, past conversations are captured to give the new shift owner added context about the patient. 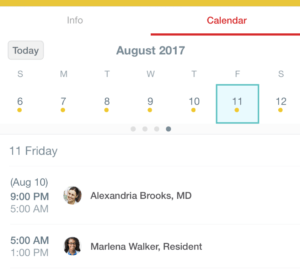 Now, staff can see current or upcoming shifts – including their own – in a simple yet elegant calendar view right from the TigerConnect app. The information screen for Roles provides details about the role, including the current owner, and a swipe option so a user can opt in or out of the role manually. Scheduling Integration with TigerConnect can be set up quickly, giving admins full control, including a toggle switch for turning Roles on or off. Integrating with solutions such as AMiON and SPOK to seamlessly provide customers with a scalable solution. Click to Call enables a TigerConnect user with an activated mobile device the opportunity to make a secure phone call to another mobile user right from the app. 1. Swipe from right to left (iOS) tap and hold (Android) on the conversation. When users tap on the call icon, TigerConnect sends data via a data connection to the recipient’s device containing the caller’s contact information, this ensures when the call comes through on the recipient’s end they will see the caller’s name. But wait, can’t a phone call be made without a data connection, what then? 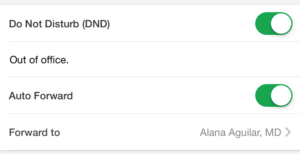 Our team has built this feature so that if there is not a data connection to send the contact information we will see the facility name instead. Worst case scenario with data connections the recipient will see something like “General Hospital via TigerConnect.” If a call is missed there will be two notifications, one from the phone app, and one from TigerConnect, tap on the TigerConnect notification to jump to the conversation and call the person back. Android has a convenient ‘call back’ action right on the notification, Android also has a call log in the inbox screen to view all of the calls made or received with that device. Click to Call will not work on WIFI only devices, Click to Call requires a phone number attached to the device and the number to be verified with TigerConnect, verification happens when the text is sent to our servers during the login process on a mobile device. There is a stipulation to make here, the users must have allowed TigerConnect to access contacts. Make sure that Contact Matching is on in the TigerConnect Settings under the Contacts menu. When individuals are using more than one phone, TigerConnect will call to the number with the lowest numerical value, for instance, if you have a 310 area code and a 605 area code TigerConnect will only call the 310 number. TigerPage is a feature TigerConnect offers to users in which they can have a phone number set to their user account by a TigerConnect Professional Services team member. This number can then be used to receive pages, voicemail pages, and text pages. It can be used for improved incoming patient communication, or to replace an existing paging policy, although paging systems can be replaced with simple turn-key integrations that our Professional Services team can set up. When a page is received by the TigerPage interface the information is routed to the user. Pages can come in three ways.